The NLCE Maintenance and Repair Reporting Area is where tenants can report maintenance repairs to their landlord. 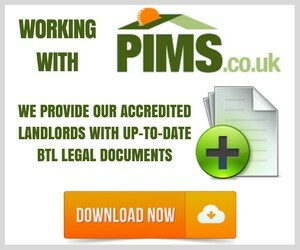 ☆ It creates a formal paper trail between landlords/agents and their tenants. ☆ Allows the landlord to reply and liase with the tenant, with a notification as to what time, date, requirements, etc. It is important for both landlords and tenants to understand the need for a formal trail to prove that an issue was raised and that the landlord replied to the request and carried out the works within a suitable time, and to a professional standard. Landlords should be reminded that if a complaint is made by their tenant and the issue is not resolved the landlord will not be able to evict the tenant or issue a section 21, in accordance with the Deregulation Act 2015. No Section 21’s when there are outstanding complaints. Members should issue their tenants with the NLCE emergency contact card so that the tenant has all the details of the landlord/agent when in tenure. Please note: the electrical and boiler and radiator tutorials (found in the ‘Report an Issue’ drop down menu, along the top of this website) can be printed. Furthermore, when beginning a new tenancy it may be prudent to get your tenant to sign printed copies, so that you are able to prove that you have explained the electricity supply board and hot water & heating system to them in the event of a emergency and/or problem.